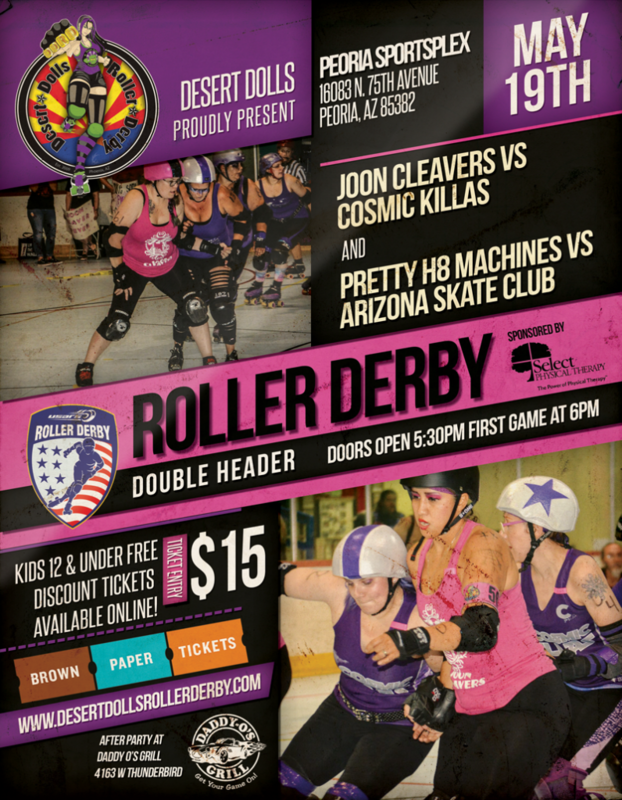 Desert Dolls Roller Derby kicks off its 9th season with our two veteran teams taking the track. Guaranteed to be fast paced, hard hitting roller derby fun! Kids 10 & under get in for FREE!! Tickets will cost $15 at the door the day of, buy earlier to save a few bucks. Doors to the event open at 6:30PM, but we suggest you be there earlier to get good seats. Game starts at 7pm! 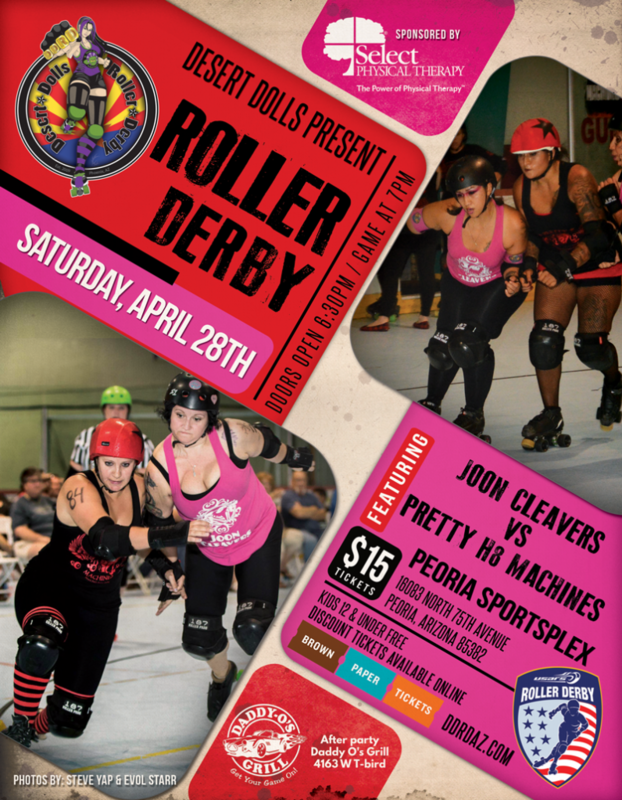 Desert Dolls Roller Derby kicks off its 9th season in March! Join us for fast paced, hard hitting games! Come on out and cheer on your favorite players! Join DDRD and our sister league, AZSC for a championship you do not want to miss. The top seeded teams battle it out on the track one last time to determine the 2018 season champion, but before that score is settled come out and watch Arizona Skate Club take on the Pretty H8 Machines. Tickets will cost $15 at the door the day of, buy earlier to save a few bucks. Doors to the event open at 5:30PM, but we suggest you be there earlier to get good seats. Join DDRD for an exciting night of roller derby! 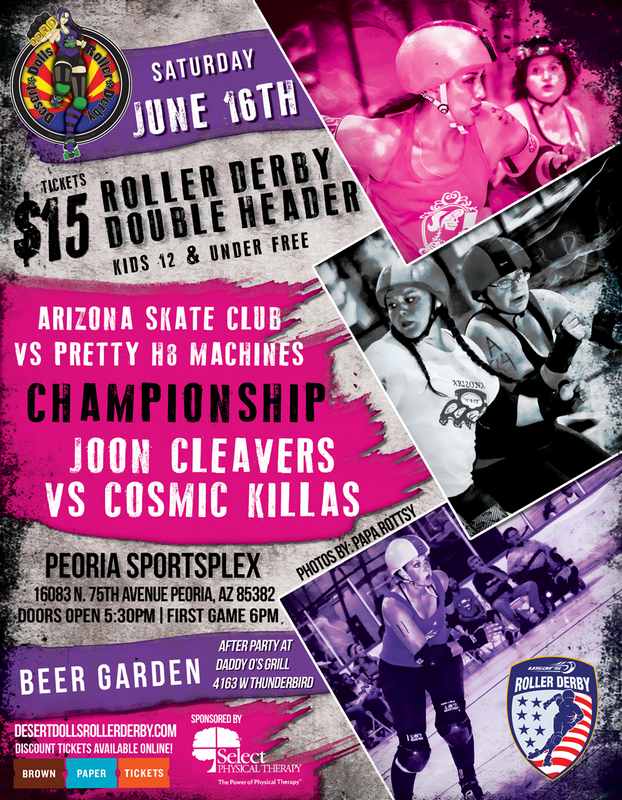 The last games of the regular season will feature the Joon Cleavers facing off against the Cosmic Killas and as an added bonus, the Pretty H8 Machines will take on Arizona Skate Club! A championship rematch from the 2017 season! The reigning champions, the Joon Cleavers take the track against the Pretty H8 Machines. Come on out and watch a fun fast paced game of roller derby!